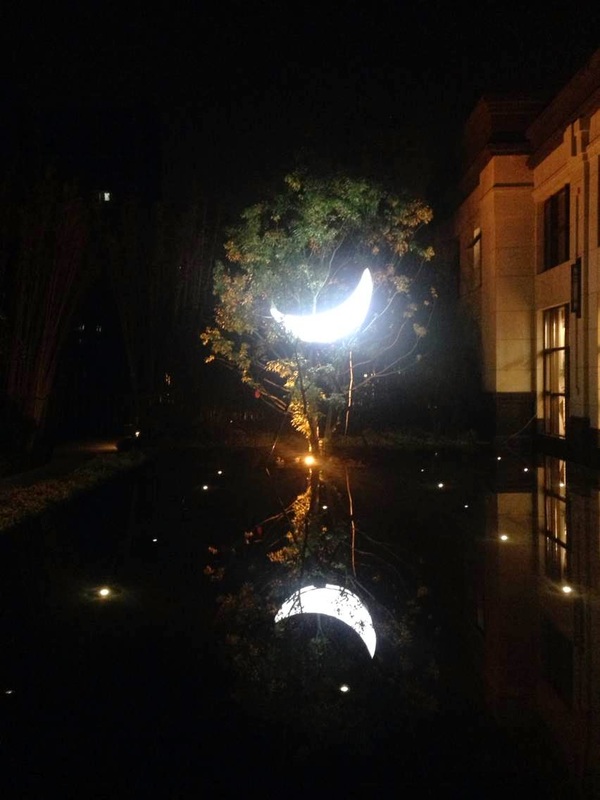 Russian artist Leonid Tishkov can’t seem to go anywhere without a human-sized crescent moon by his side. 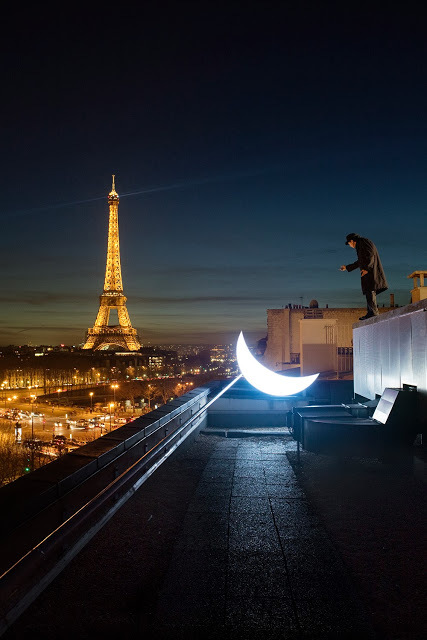 the artist can usually be found with his lunar travel mate in tow, lounging on rooftops or dangling off the edge of a boat in scenes that take us back to our favorite childhood books. Tishkov’s most recent obsession — a love affair with an illuminated, man-made moon — tugs at the heartstrings of any romantic soul. He’s documented the entire experience in a photography project called “Private Moon,” inviting viewers to glimpse intimate moments of his strange adventures. But she always goes with our step. And thru the green mist she glitters.